Doctors in the emergency rooms do not have much time to determine which patients need blood transfusion. At the same time, they have no method to assess platelet health. Platelets are an important part of the blood and they play a big role in helping blood clot after an injury. Now researchers at the University of Washington have developed a microfluidic device that can directly assess how well the platelets are doing. When there’s any sort of damage to blood vessels, platelets become the first responders. However, in patients with trauma injury, platelets often lose their ability to do the job properly, and they also become less able to apply forces to stop bleeding, reports UW News. When ER doctors receive a trauma patient, they use various methods to estimate their risk of bleeding but these methods do not tell them about platelet strength, according to Nathan White, an associate professor of emergency medicine at the UW School of Medicine. 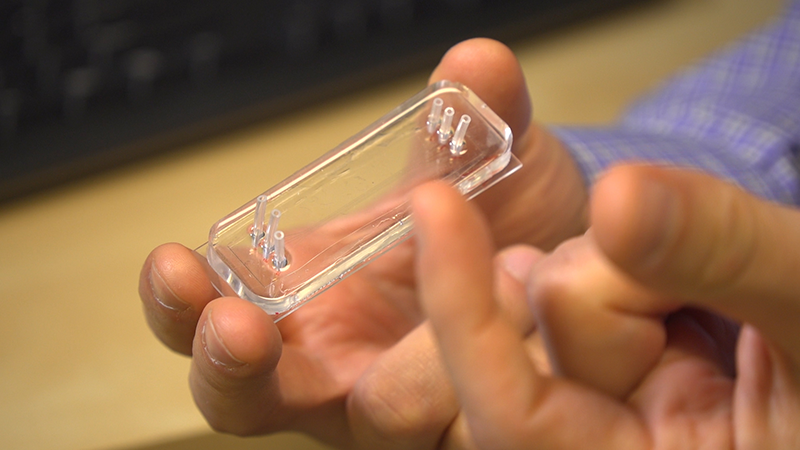 The new microfluidic device, designed by UW researchers measures platelet forces in real time. First, they inject a blood sample into the device. As the blood flows through it, the cells hit an obstacle course: tiny blocks and posts jutting up from the base of the device. This activates the platelets. They feel a massive force when they flow over the blocks, and then the surface of both the blocks and the posts are coated with a platelet-activating molecule. The researchers tested the new device on 93 trauma patients and 10 healthy participants at Harborview Medical Center. After sampling their blood, the researchers found a significant difference between the healthy participants’ blood and that of the trauma patients. Trauma patients’ platelets had decreased forces compared to healthy participants’ platelets. The team hopes their new device will be useful for measuring platelet strength in other areas of medicine, such as measuring how blood-thinning medications like aspirin or Plavix affect different patients or helping neurosurgeons monitor patients for bleeding complications during surgery. The results of the study were published in Nature Communications.